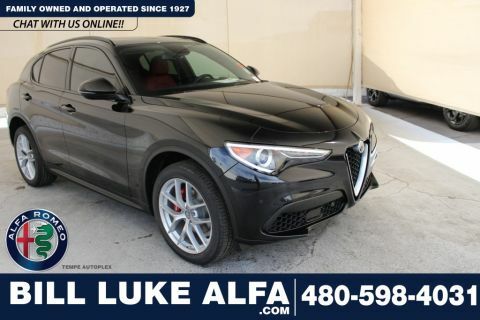 Only 2 Ti Sport models left in stock! 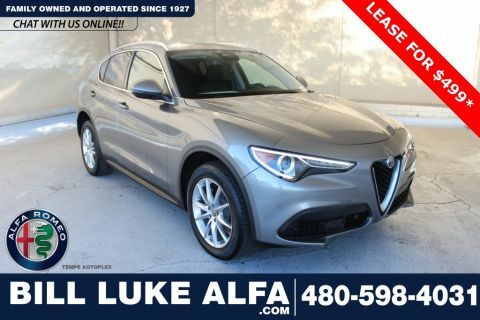 This vehicle is on display at Chandler Fashion Mall. 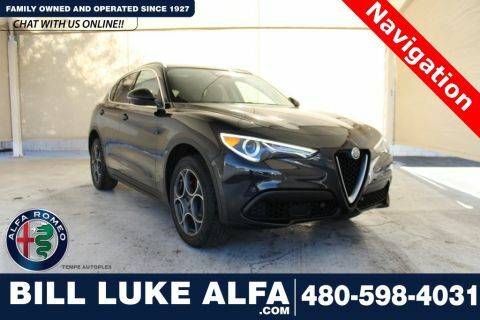 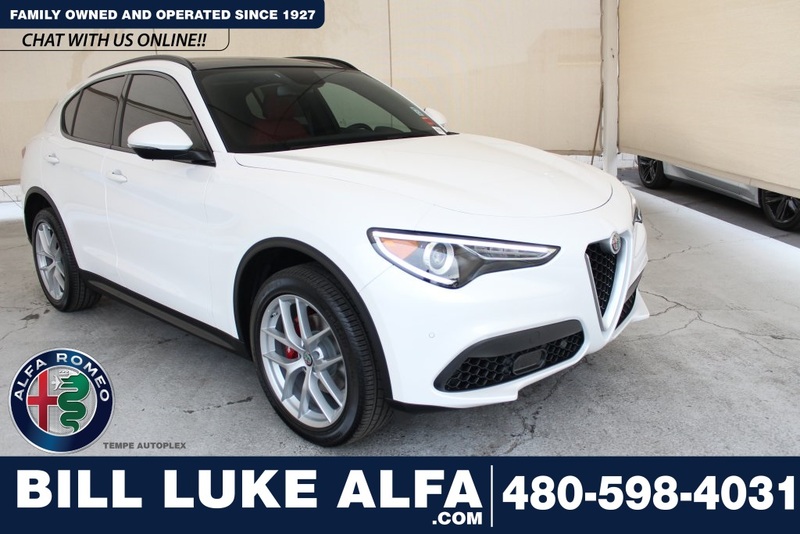 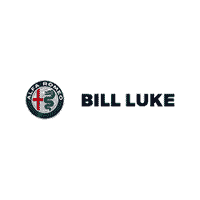 Trofeo White Tri-Coat 2019 Alfa Romeo Stelvio Ti Sport AWD 8-Speed Automatic I4 8.8" Widescreen Color Display, Aluminum Interior Trim, Aluminum Steering Column Mounted Paddle Shifters, Auto-Dimming Exterior Mirrors, Blind Spot & Cross Path Detection, Bright Aluminum Pedals, Colored Brake Calipers, Driver Assistance Static Package, Dual-Pane Sunroof, Gloss Black Roof Rails, Gloss Black Shark Fin Antenna, Gloss Black Window Surround Moldings, harman/kardon Premium Audio, Power Adjustable Bolster, Quick Order Package 22S Ti Sport, Radio: AM/FM/HD Bluetooth w/Nav 8.8, Sport Leather Seats, Sport Leather-Wrapped Steering Wheel, Sport Tuned Front Dampers, Wheels: 20" x 8.5" Sport Aluminum.